Introduction to the Second Edition.- Part 1: Themes, Concepts and Methods. 1. Comparison and Theories; I. Bleiklie, M. Kogan.- Part 2: History, Policy and Structure. 2. Higher Education Policies: Historical Overview; M. Bauer, M. Kogan. 3. Policy Regimes and Policy Making; I. Bleiklie. 4. 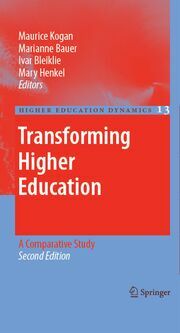 The State and Higher Education; M. Kogan, S. Marton. 5. 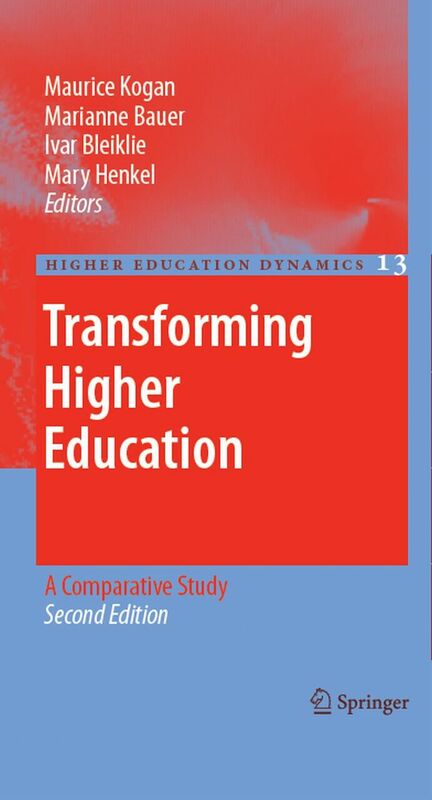 Higher Education Institutions; B. Askling, M. Henkel.-Part 3: Academics in a Context of Policy and System Change. 6. Policy Change and the Academic Profession; R. Høstaker. 7. Academic Identities; M. Henkel, A. Vabø.- Part 4: Conclusions. 8. Change and Continuity: Some Conclusions; M. Kogan et al.- References.- Subject Index.- Author Index.